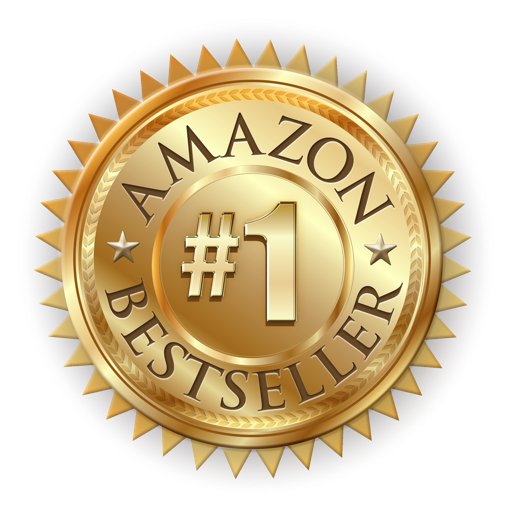 Do you know of an author who doesn't want to have a bestseller? Well, they're rare and this article is not for them. More than the money, most authors need the validation of knowing that readers are actually reading something they've poured their heart and soul into. But if they could also earn from it, then it's a dream come true. I'm not talking about the so-called writers who hire ghostwriters and flood Amazon with low quality books. I'm talking about real writers who spend hundreds of hours in front of a keyboard, researching and writing. Arguing with their characters, almost throwing their laptops and PCs in frustration when they have writer's block. Injecting coffee in their veins to keep the momentum going. Those writers --- they dream of and deserve to have bestsellers. 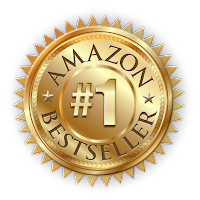 A book enjoyed by so many readers it reaches the #1 spot overall on Amazon or #1 in a category in their genre. It's hard work, and for self published authors, publishing a bestseller is 10x as hard than it is for a writer represented by the Big 5, who has all the editorial and marketing connections and know-how to bring a book in front of readers. An Indie has thousands of competition and most are not marketers... but after THE END, they have to dive head first into that pool of authors advertising their books. It sounds exhausting, and it is. Many indie authors just give up after a while without results. Before buying a complete scuba gear of social media tools and advertising materials to prepare for the deep dive, there are some very crucial things authors have to do first. Let's assume that the book has an interesting story that resonates with their target audience, has been edited, formatted, with a stunning book cover and dozens of reviews ---- the works! BUT even then, even if they have an absolutely beautiful book, if these steps are neglected, a bestseller will only be a dream. It will not even fall into the realm of possibility. Because without these steps, organic readers on Amazon will not know the book exists. And that's what Indie authors need for long term success. To be exposed to true readers. Strangers. Not their friends or family but people who want to read the type of books they publish. Readers who are searching for their books on Amazon. As of January 2017, there are 5 million books available in the US on the Kindle Store. That's a staggering number. How can a self published author prevent their book from being buried in that giant heap? And reach #1 overall? It does seem like an impossible task. CATEGORIES. Their books are in the right Kindle Categories in THEIR GENRE. 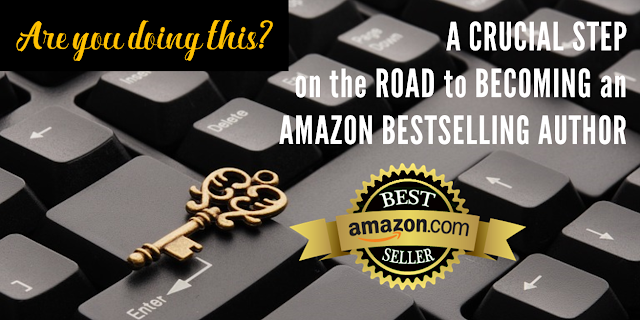 They don't cheat on categories like many authors do just to reach bestseller status. Their books are in front of their true audience... who download their book... and their other books and their next release if they liked the first one... and so on... A recipe for long term success. So, that's the crucial step. The book should not only be perfectly packaged, it should be in the right Kindle Categories. Believe me, authors, it will expose your book to the people who'll want to buy it, and you'll have a better chance of ranking high in that category, which means more exposure, more sales, higher ranking ---- and so on! A circle of only good things for your book. Choosing categories through Amazon KDP and adding the 7 keywords will not do it. Why not? Because most categories on the Kindle Store are NOT on KDP. Isn't that weird? But that's the way it is. Obviously, you should choose a category in your book's genre. The smaller the category, the better. What I mean by "small" is... the less number of titles are listed in the category you choose, the better. So, look for sub-categories. Go to your Amazon Book Page. How many categories do you see? *** Update: Amazon has removed this section from the sales page. But you can still contact them and have them add it manually. Since you can't see in which categories your books are already listed, aside from the 3 categories displayed under Product Details, there might be duplicates. So, when you contact Amazon support. add a note and tell them to simply remove any duplicates. Some books are listed in dozens of categories, as shown above. But Amazon has recently changed that to 10. Yes, a book can be included in 10 categories as opposed to the 2 allowed by KDP when you publish the book. If you have less than 10, click on "Kindle eBooks" in your categories list. The number on the right of the category, in brackets, is the number of books that are listed for that specific genre/sub-category. Let's say your book is a Crime, Thriller & Mystery. Click on that. Go deeper into the sub-categories. Choose the sub-categories that best describes your book, and you will see more targeted keywords. If you click on Suspense, you will see this (see image below). You will notice that the number of books listed for that sub-category is smaller as the keyword becomes more targeted. Look at that. If your book is about ghosts, you can reach #1 by outselling just 1,334 books. Compare that if you're only on the Suspense category with 86,545 books listed! If you don't manually choose your categories, the book will be listed in the big ones, like Mystery, Thriller and Suspense or Contemporary or Romance. Are you seeing it now? Do you understand why you need to do this? So, if you choose the sub-genre, Psychological, under Suspense (there's no other sub-category after Psychological), you will now have this category path. That's 1 category. Repeat the steps and follow the format above until you have 10 distinct categories. It's a little tedious but if you're writing the same kinds of books, then you just need to research and do it once and revisit every once in a while to see if Amazon has made other categories available. Yes, Amazon updates the categories. So, it wouldn't hurt to be the first to see it and get your book listed there, right? But I wanted you to understand how it works first, so that you're not simply mimicking without fully comprehending the WHY. So, what is your genre? Look for the bestseller or similar books in your genre and scroll down the book page to see the categories it's listed on. Choose the most targeted and copy it. It should be in this format, ok? The different Amazon Marketplaces have different categories. So, you should choose the categories specific to the marketplace --- Amazon US, UK, CA, AU, IN and so on. When you're choosing categories for the UK, then you should browse on the Amazon UK store. ASIN of the book you're updating. Indicate whether it's for Amazon UK, US, CA, AU, etc. Choose only one and repeat the exercise for other marketplaces. Paste the 10 categories you've chosen in the format above... for each marketplace. I wrote this rather long article cause I see many authors with good books that are not ranking well on Amazon. When I look at their book pages.... 2 categories. What a shame. They're missing the opportunity of exposing their books to Amazon browsers, just because of inadequate or missing categories. They do everything possible: marketing blitzes, blog tours, social media blasts, discounts ---- not knowing or not believing that IF they added the book to the right categories before marketing, it would've had more impact on their Amazon ranking, and increased the possibility of more sales. While this is not a guarantee that you'll reach bestseller status, you also won't reach it without this crucial step... unless you're Dan Brown or Anne Rice or some other famous author. Exposure. All Indie authors need it. We're looking for readers? Well, Amazon has the most number of readers. That's where they are. Readers browsing for topics they like reading about. So, a wise author would do well to utilize and maximize Amazon by making sure that their book pages are as enticing as possible and that they're using the correct kindle categories. You have to cover all the bases for a bestseller to be within your reach. Otherwise, forget it. Amazon promotes top ranking books in their newsletter. That's gold. Although categories are a sure way of improving your book's exposure, please don't misuse it. On social media, I see a lot of authors claiming bestseller status, but when I visit their Amazon book page..... the category they're listed in is almost funny if it wasn't so absurd. I get so disenchanted. I ask myself... why are we so desperate? How any self-respecting author can claim to be a bestseller outside their genre is beyond me. It's sleazy, it's tacky, and will damage your image. We want readers. We want sales. We want that badge. But let's keep our dignity, credibility and respectability. Results may be slow, and you might get impatient, but eventually, a good writer who does their best to publish a book worthy of reading, who takes the time to learn the simple secrets to reaching readers, and diligently applies them to their marketing campaign---- will have a bestselling book one day. Don't publish and shout a little on social media and expect to reach the stars and be discovered through a bestseller. That's not how it works. There are things that an author needs to do... now, rather than tomorrow. and oh..... one last thing.... Please SHARE it so that other authors will know. Thank you, Eeva! Great information for authors! This is valuable. Thank you so much.